Counter tops – As one of the most visible parts of your kitchen, the counter tops are the most important feature to most homeowners. 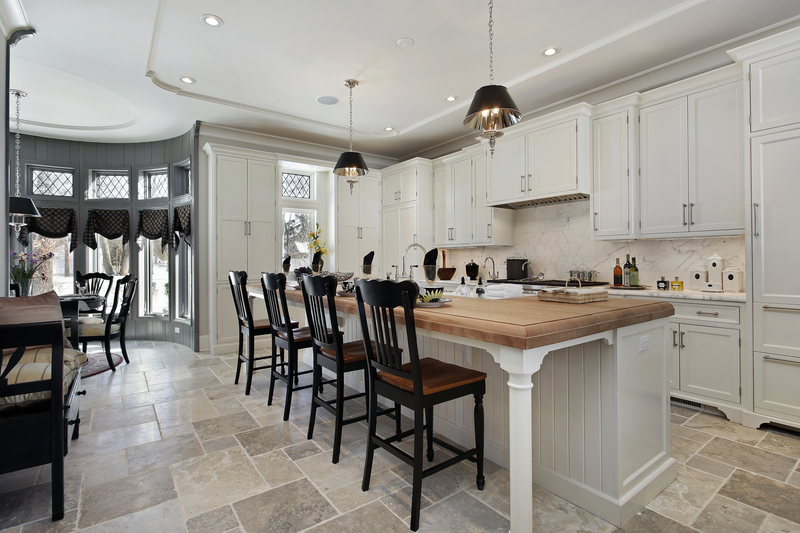 Currently, quartz, marble, butcher's block, and cement are in-style, and white is the most popular color option. Cabinets – Equally as important as countertops, 'tuxedo style' cabinets are increasingly popular in the kitchen. Tuxedo cabinets feature different colored upper and lower cabinets. Popular options include white on top and black on bottom, or gray on top and navy on the bottom. The tuxedo style adds high contrast to any kitchen. Sneaky Appliances – While stainless steel appliances will always be in style, many homeowners add hidden or built-in appliances to their kitchen. For example, a microwave can be built into the cabinets, and your refrigerator can also blend with cabinets. Decorative Hardware – With more emphasis placed on cabinets, cabinet hardware is also important. In the past, homeowners have opted for silver, but copper, oil-rubbed bronze and gold are popular as well. Different colored hardware gives your kitchen an eclectic touch. Lighting – Light fixtures are statement pieces for the kitchen. 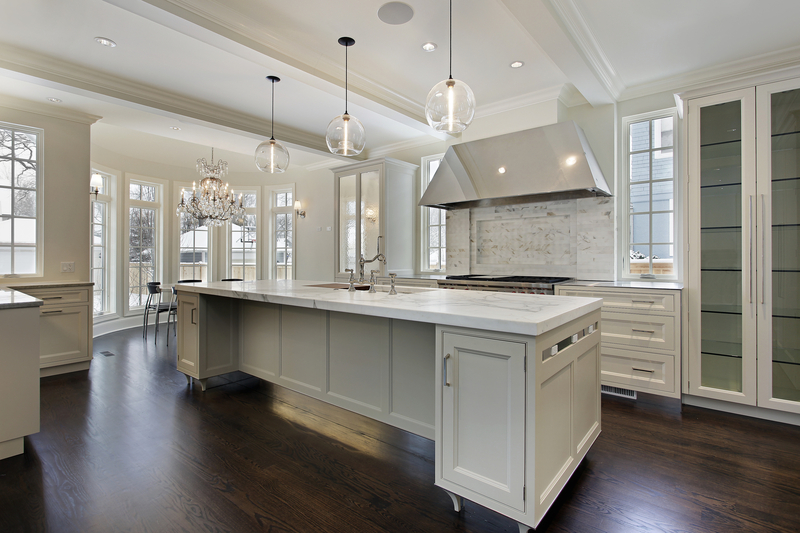 While it was common to use canned lighting in the kitchen, prominent light fixtures are now popular. Typically, homeowners choose one large light fixture to place over a large center island or multiple pendant lights over the breakfast bar. Either way, statement light fixtures in the kitchen are the new style. Many have decided to go bold and add rose gold (copper) lighting fixtures. Exposed Floating Shelves – Instead of solid cabinets throughout the kitchen, many homeowners opt for floating shelving to make the kitchen feel more open. Typically these shelves are used for dinnerware and glassware. Shiplap – Shiplap isn't going out of style anytime soon. This style took off with HGTV's show 'Fixer Upper.' In addition to paneling, shiplap is used on ceilings and backsplashes. 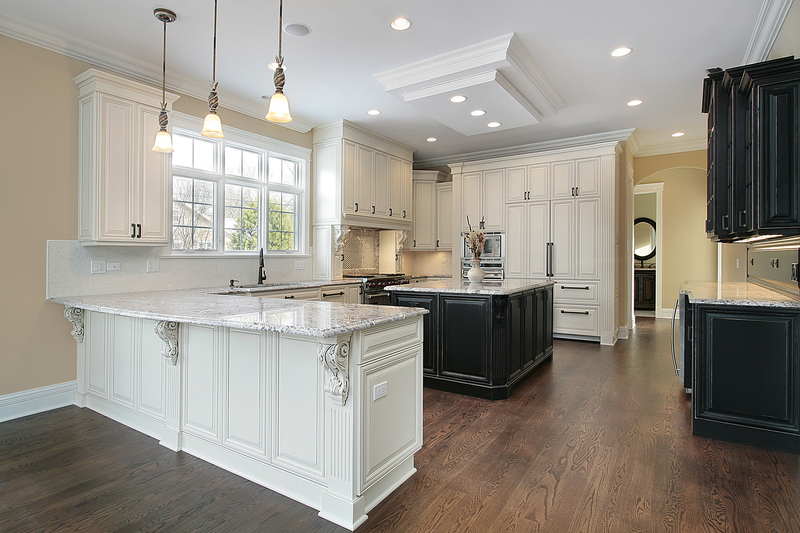 Any way you look at it, renovating your home's kitchen increases its value. If you plan to stay in your home for a while, pick a style that is in line with what you like. However, if you plan to sell, consider renovating your home to align with current design trends. Doing this can mean a faster and more lucrative sale.